I'm the girl who falls in love with anywhere I visit. It's become a bit of a problem over the last few years because I'm constantly wanting to go back to my second home(s). I feel like when travelling, so many places become my 'happy place' and I want to remember them. Lucky for me, I've found a way to keep the memories alive in the comfort of my own home. Don't get me wrong, as much as I love to travel, home is my happy place and there truly is no place like it, I just enjoy seeing the world too. Let's talk about bringing your travels home. This is in collaboration with Desenio. As most of you will know, I bought city map prints from Desenio a few years ago and they took pride of place in my bedroom. I couldn't help but buy maps of the four places I see as my 'favourite' destinations and places I've visited over and over; Miami, Barcelona, Montreal and New York. It's lovely because I always sit and look at the maps and remember my favourite streets and memories. 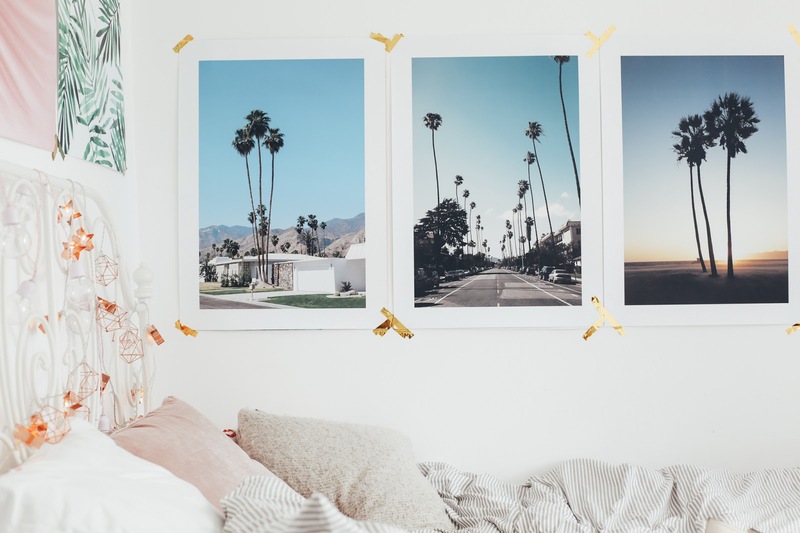 I get bored really easily particularly with things on my wall so decided I needed to mix up the prints in my bedroom. 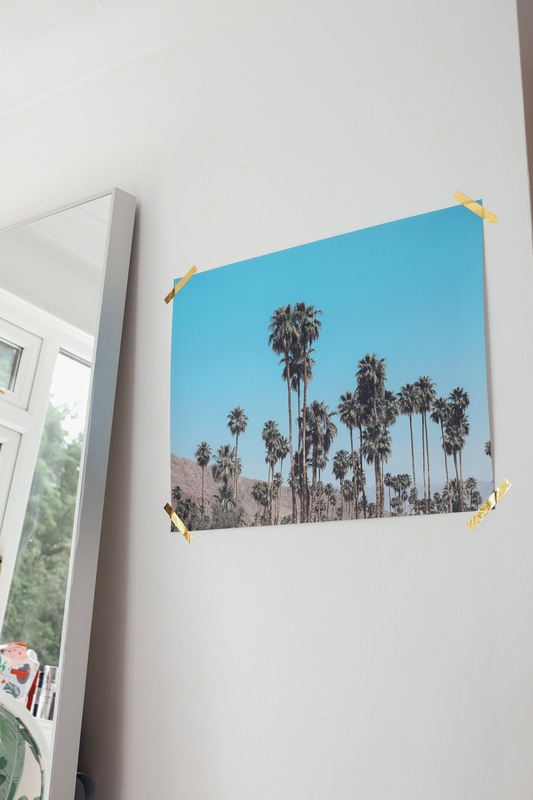 Whilst I still have my beautiful map prints at the other side of my room, I wanted to get rid of some of the cactus prints I'd got and change them to photos of places that make me happy. If you ever watched any of my vlogs last year, you'll recall I took Matt on an American roadtrip to say well done for finishing his degree. It was his first time in the USA and my first time on the West Coast so it was incredibly special. For a month, we felt so free, so happy and had the time of our lives. You can read all about our trip and find out my top tips for planning a West Coast roadtrip too. 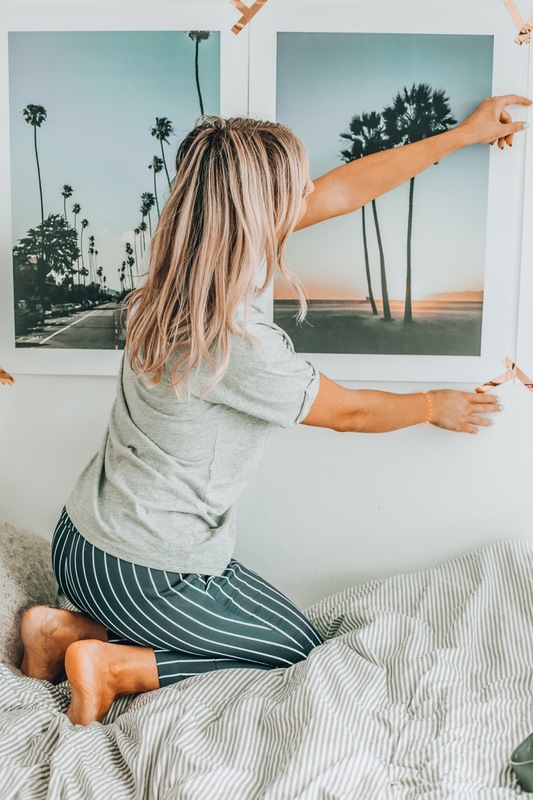 In light of this trip, we decided to head back again this year (meaning I finally wrote an updated Los Angeles travel guide haha) and we truly had the time of our lives. I definitely think California is somewhere I will visit every single year now. It has a place in my heart. It was only the other day, I was on Desenio (my go to place for prints) and I noticed their new collection, the coast to coast collection. 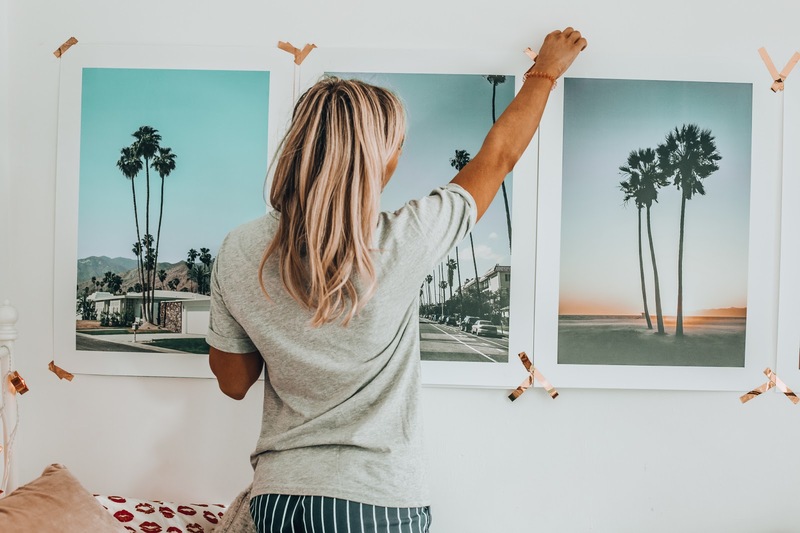 This new Studio collection is the result of a trip through the U.S, from Miami via LA and Palm Springs and Matt and I have visited all of these places and also done two USA roadtrips now so it was fitting that I bought prints from our happy place. So which the prints did I buy? Miami: The Miami Collection is a journey through designing districts, art deco blocks and boardwalks. The typical vintage style that put Miami on the map is reflected in our photo art with a lot of graphic elements. As most of you know, Miami is one of my favourite places in the world. I've been four times now and will definitely be heading back. I am currently working on my most recent Miami travel guide after having the best stay at the Nobu Eden Roc hotel back in May. I'm counting down the days until I can go back. Watch my latest trip to Miami (soon to be updated). LA: The collection takes you to the urban city life of Los Angeles. 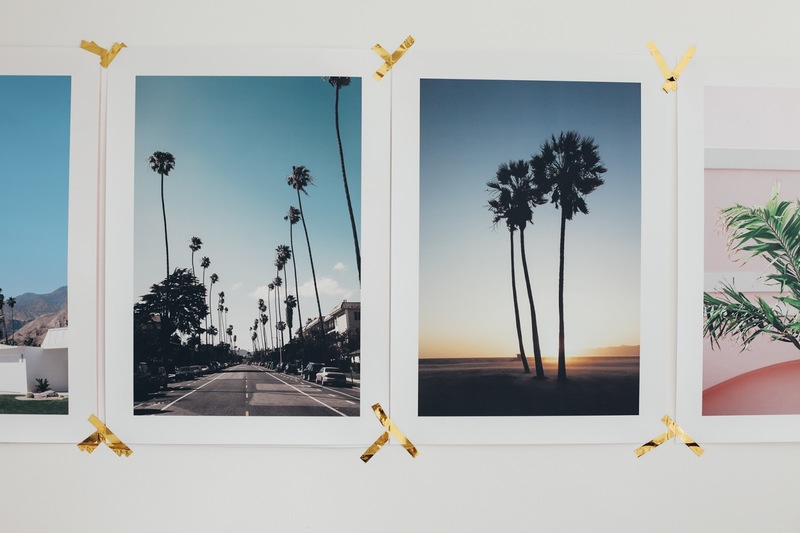 The vibes in California are perpetuated by photo art from Venice Beach, Santa Monica and iconic palm alloys. Both Matt and I had a bit of a weird time in LA the first time round, we felt as if it was a bit sketchy. We gave it another shot this year and now I adore LA. I think it's a case of knowing exactly where you're going and going with a plan. Read my Los Angeles travel guide. 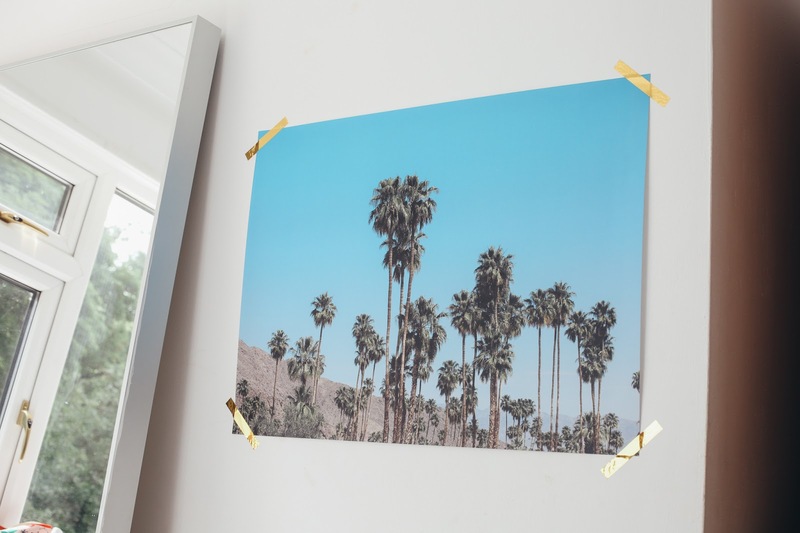 Palm Springs: Keywords for the collection are palm trees, vintage style architecture and rugged desert landscape. Luxury pool environments create an exciting contrast to the beautiful scenery of Joshua Tree. Matt and I had one of the best times in Palm Springs and ended up extending our trip because we loved it so much. We also stayed over in Joshua Tree too. Read my Palm Springs travel guide. 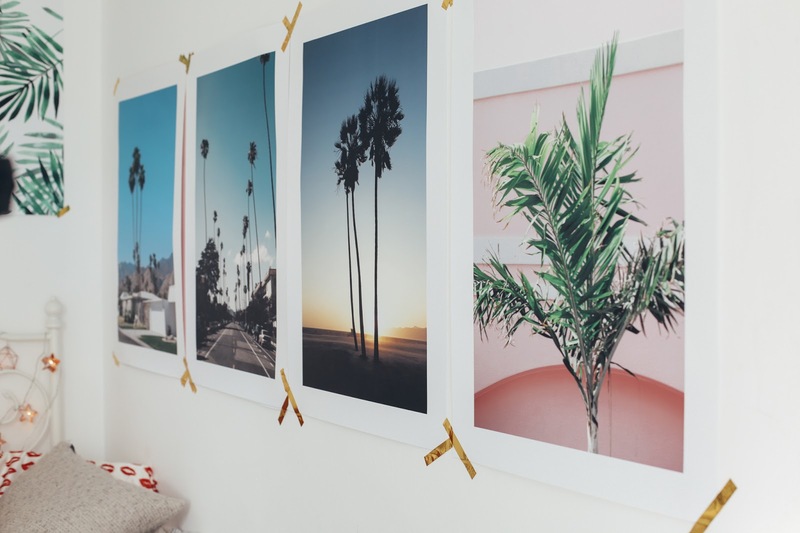 So I'm hoping that with this blog post you can see just how much these prints resonate with me. 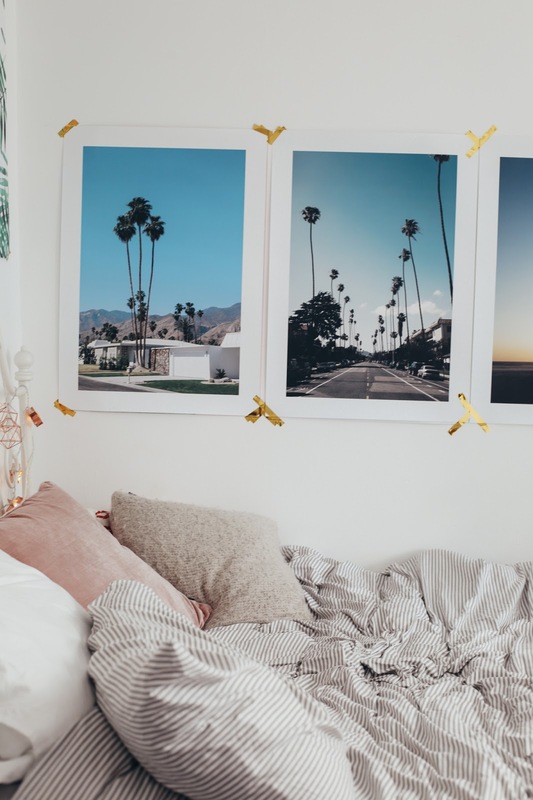 My bedroom instantly feels like all my happy memories are here now, and I definitely need to book a trip back! The code “emshelx” gives 25% off posters* between June 19th and 21st. *Except for frames and handpicked-/collaboration posters, if you're wanting to buy any prints! 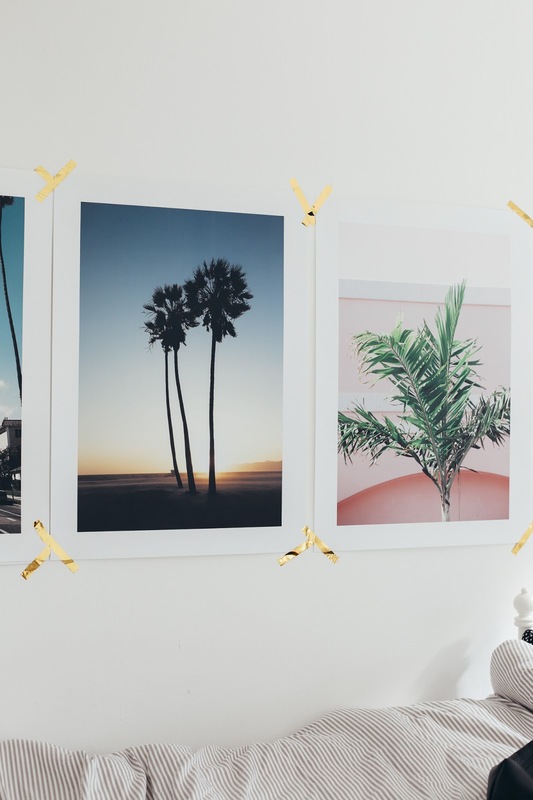 Shop the Desenio posters. *This is a collaboration with Desenio but as always it's my 100% honest opinon.